Many events in human history are of great importance for the way we live today. Johannes Gutenberg's invention of the "movable type" printing press is one of the most important. It is possible that without it there would have been no Renaissance, no Industrial Revolution, no Technological Revolution and no modern, western Democracy. In other words - no modern world! While primitive forms of printing had been invented a long time before in ancient China and good quality paper had been available for some time in Europe (modern America still hadn't been invented!) most books were still copied out by hand in what was a painstaking and time-consuming labor. For this reason, very few books were made, and those that were produced were extremely valuable objects that belonged either to the Church or other powerful institutions. Most people couldn't read - what would have been the point of learning? - and knowledge was largely limited to what a person saw, heard and experienced in their own lifetime and in their own town or village. Gutenberg's invention of the movable type printing press meant that books could be produced in greater numbers and more quickly and cheaply than ever before. This led to a huge social and cultural revolution the repercussions of which are still seen and felt today. It was the internet of its day! Nobody knows exactly what it was that inspired Gutenberg to make his first movable type printing press. By profession he was a goldsmith. He was very interested in all kinds of inventions and had a lively and enquiring mind. He was also quite wealthy and so had the resources available to realize many of his ideas. According to legend the idea for the movable type printing press came to him "like a ray of light" in the year 1439. However, legends do make such claims and usually arise in the absence of solid information. It is more likely that he had been mulling over the problem for some time before the moment of hard-won inspiration struck! We do know that by 1440 he was busy working on several "prototypes" of the movable type printing press - which again suggests that the solution he came up with was the result of a lot of work and experimentation rather than a sudden flash of inspiration. A "prototype" is an experimental model or attempt at something before arriving at the finalized version. At that time he was living in Strasbourg. There, in his workshop, he started using a mixture of older technologies, including something called "the screw press" and a new idea of his own: molded type setting. Molded type setting involved making a mold for each letter character which could be re-used. In this way he was able to produce a lot of individual letters which could be placed within a wooden frame to create the layout of the page to be printed. This was a step in the right direction and while much faster than hand copying, it still took up a lot of time as each new set of pages had to be made up from scratch and inked by hand. Also, if the text was to be decorated or colored, then that still had to be done in the old way, painting onto the printed sheet by hand just as the illuminated manuscripts of the monastic scriptorium had been done. It was, in the end, his knowledge of working and casting in metal which gave him the last refinement that he was looking for. Gutenberg had the idea that a series of characters could be cast in brass. These characters would be durable and easy to set. They could be used again and again, being reconfigured to make endless different pages. He also developed the idea of inking them using a rolling device which meant that the page settings could be inked and ready within seconds. This was the breakthrough he had been looking for. Suddenly, he could produce many copies of a book cheaply and quickly. This invention also meant that he could print in color as the pages could be passed a second and third and fourth time through the press to be over-printed with the color settings. Unfortunately, it is not easy to work out which of the many surviving texts of the subsequent period were actually printed in Gutenberg's workshop. Unlike today there were no copyright laws. 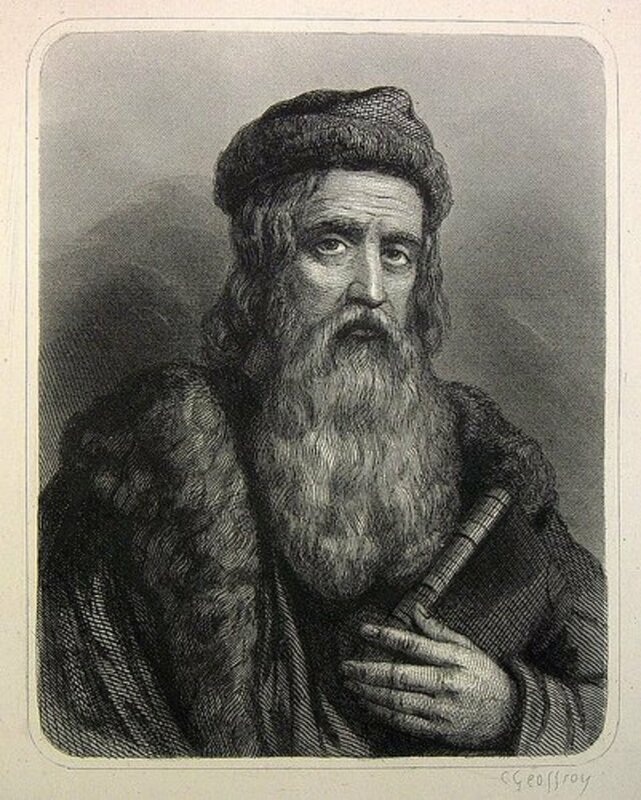 Added to that is the fact that Gutenberg never added his own name or even the date on any of his printed works! 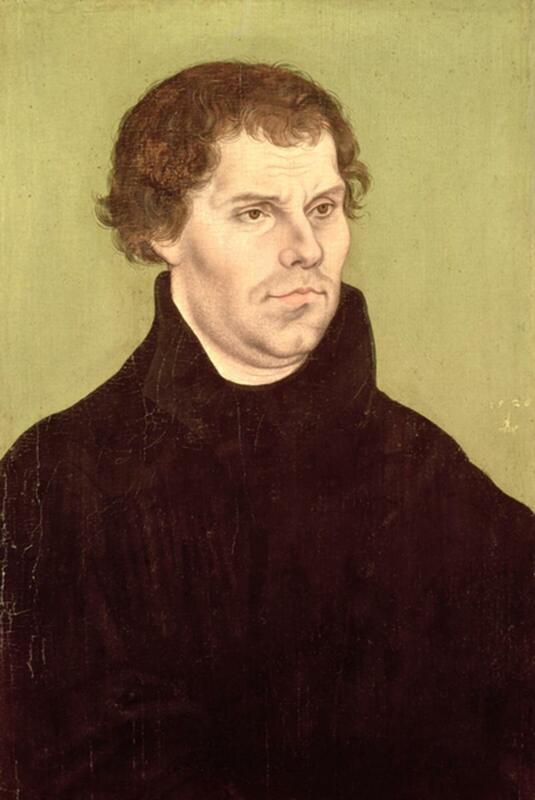 Scholars think that among his earliest productions were a German poetic work and a grammatical textbook for students. But he was to begin his most famous printing project in 1452. It was what is now known as The Gutenberg Bible. The Gutenberg Bible was a tremendous undertaking. The first edition was published in 1455 and had a print run of 180 copies. That may not seem like much by today's standards but at the time it was a considerable run in such a short period. The Bible had exactly 42 lines on each page and must have been very difficult to read as there was no punctuation and no indentation of paragraphs! He financed the project himself and despite its success, the costs of initially creating the press left him deeply in debt. 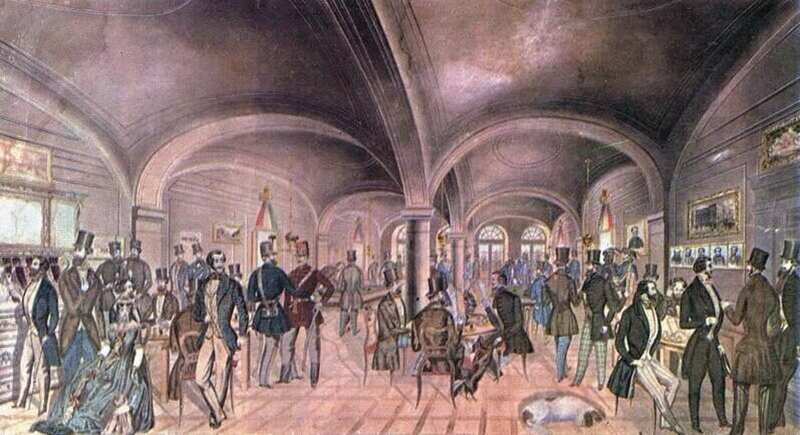 Later he was granted a special pension by the Archbishop Von Nassau but he never made a great deal of money from his extraordinary invention. But his design had made a huge impression and within a few short years, there were "Gutenberg" printing presses being set up all over Europe. 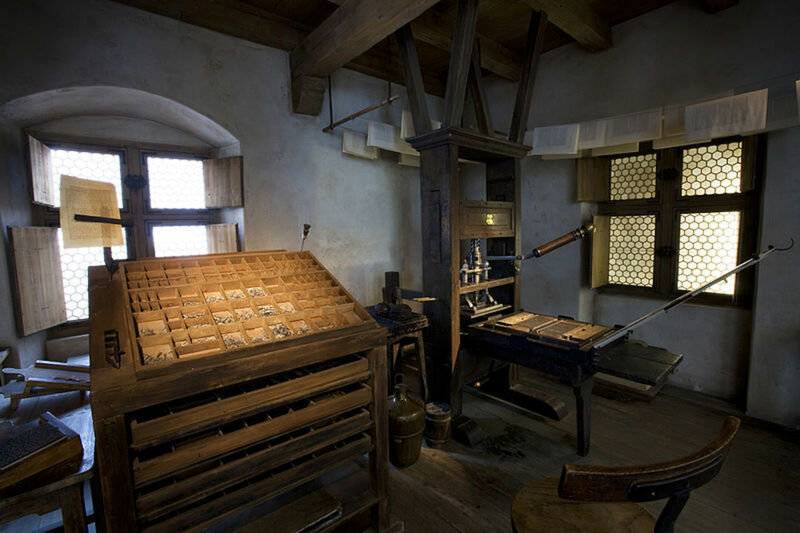 The impact of the Gutenberg printing press was immeasurable. 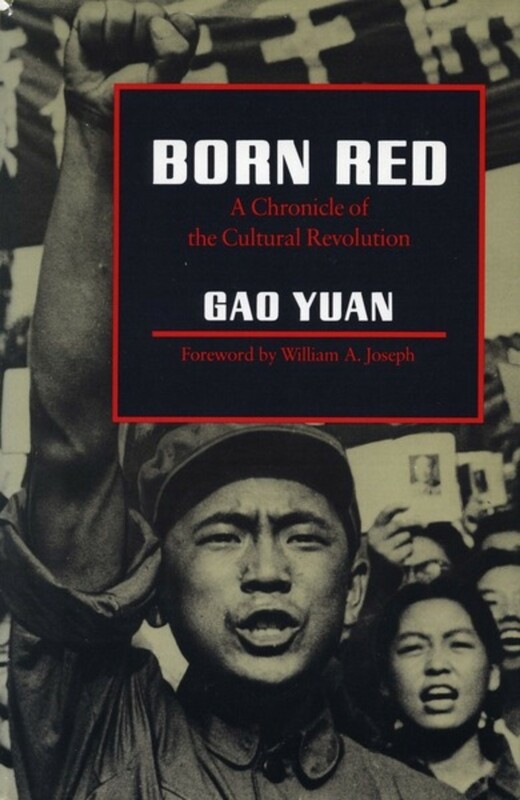 It caused nothing less than a dramatic social and cultural revolution. The sudden widespread dissemination of printed works - books, tracts, posters and papers - gave direct rise to the European Renaissance. 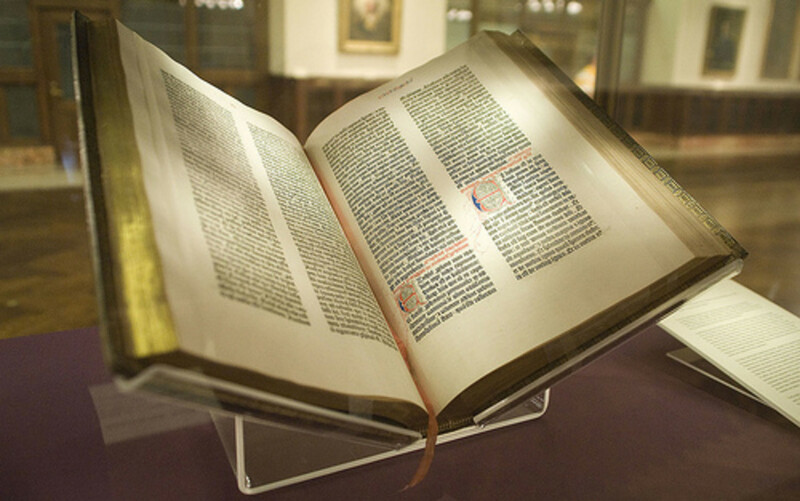 While Gutenberg's famous Bible was printed in Latin, his invention of the movable type press meant that Protestant tracts and the arguments between Martin Luther and the Catholic Church which led to the Reformation could be widely disseminated. The Reformation, which began in Germany in the early 16th century, led to the Bible being printed in the languages of the common people. Gutenberg's invention led inevitably to the Protestant revolution, the Age of Enlightenment, the development of Modern Science and Universal Education: in other words, everything that has led to human progress and the advancement of the modern world. What the world is today, good and bad, it owes to Gutenberg. 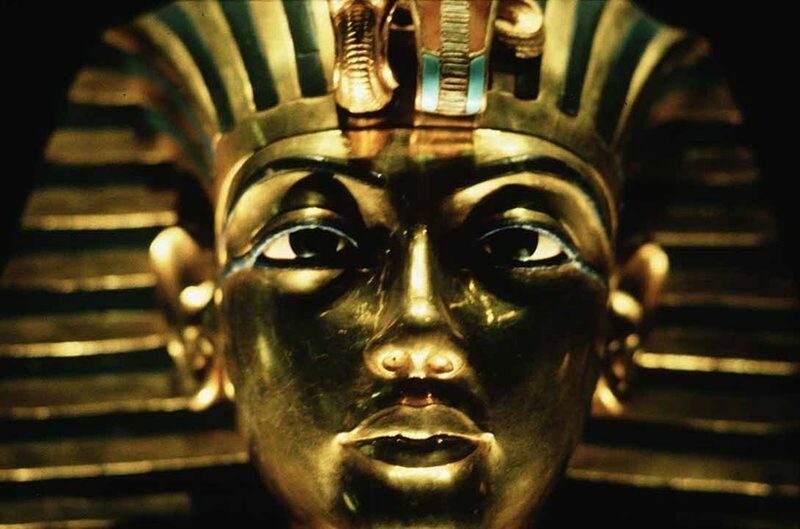 Everything can be traced to this source, but we are bound to bring him homage...for the bad that his colossal invention has brought about is overshadowed a thousand times by the good with which mankind has been favored. I hope you have enjoyed finding out about Johannes Gutenberg and his important work as much as I have writing about it. And don't forget that even though you are reading this on a computer screen or mobile device, without Gutenberg's printing press your ancestors may never have learned to read and the computer would most certainly never have been invented! In what continent was the printing press made? The European continent. It was made in Germany. If you'd like to comment, I'd love to hear from you! Thanks for a valuable and interesting contribution! It's true that the focus of this article is molded by its primary readership, which is European and North American. With the limited space available in an article, selecting information is a necessary part of the editing process. It's unlikely that Gutenberg had any knowledge of what was taking place in Asia at the time, although not impossible. History is littered with examples of unconnected persons discovering or inventing the same thing. Wallace and Darwin both coming up with a theory of natural selection almost contemporaneously is a famous example which springs to mind. However, I'm glad you've redressed the balance. And for any reader who may be interested, a Google search for "Jikji printed in Cheongju, Korea in 1377" turns up fascinating results about the famous Buddhist text and the technology used to print it. Thank you once again for a great contribution! Well, you need to acknowledge what the Chinese and Koreans did long before Johnny G. They were using movable porcelain type and movable metal type, and that is an early form of the printing press. Most scholars now agree that the printing press came from the Far East. Gutenberg has been praised much too highly. Jikji, you know, was printed in Cheongju, Korea in 1377. Gutenberg may have developed his version of the printing press independently or--more likely--he had some clue of what the Chinese and Koreans had done. Write about this stuff!! You're very welcome. I'm glad you found it helpful and interesting learning about the "Wild West" and cowboys - and cowgirls! Hey thank you so much, this helped me a lot and it's amazing. You're welcome. I'm glad the article helped. Good luck with your paper! Thank you so much for this! I'm writing a paper on the press and Gutenberg and this was extremely helpful! Thanks for your contribution. You're right, of course, that the early city state democracies originated in ancient Greece. Indeed, "demos" signifies both "village/town/city" and "people" in the sense of the people who live there. Back then, the democratic structure and process was very different than that which we enjoy in the modern west. I had in mind modern, western democracy, whose process relies on the wide dissemination of information among a broad population, not just an elite class (remember that slaves and women couldn't vote in the relatively tiny "democracies" of a few hundred to a few thousand people). However, your point is astute and correct, and I have changed the wording of this article slightly to reflect that. Democracy was concieved around 500 BCE by the ancient Greeks, so your claim that "It is possible that without it there would have been no Renaissance, no Industrial Revolution, no Technological Revolution and no Democracy." is partially false. Thanks so much for your contribution. Yes, I agree with that completely. 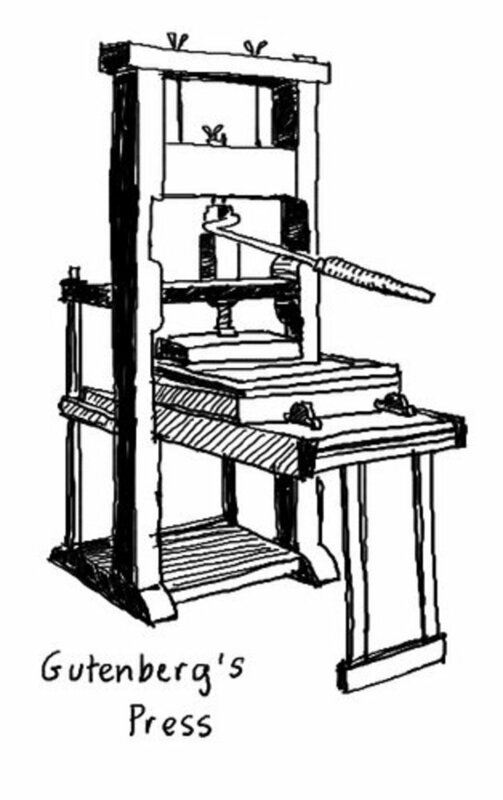 I think that the invention of the printing press is probably the historical keystone upon which future democracy, education, science and so on were all built. The printing press altered the nature of the way we think, speak, and behave... huge changes come from it, and we still experience them today... nice..
Nice to see you again - you're quite the regular here now! I agree with you that the availability of written materials in your own native language was one of the most important impacts of the printing press. Particularly the Bible - for the first time people could read it for themselves and make their own critiques of its content rather than having everything mediated by priests. I suspect that without Gutenberg there would have been no Reformation, still less a move towards any kind of rational and secular society. So yes, a very good thing! stuff4kids came across your Hub again, didn't remember reading but enjoyed it again. I think the availability of printing in one's language is the single greatest impact of the printing press. Thanks again! Thank you so much for that great contribution to this article. That is quite a treasure your brother brought back for you, even if it is a facsimile. The fact that it was actually printed on a press from Gutenberg's workshop is nothing less than magical! Once again, thanks for reading this and taking the time to comment. I'm so glad that you enjoyed it. My younger brother printed me a page of the Gutenberg Bible at the same (or similar) press in Mainz that was shown in the video. It was cool to view the video of a page being printed in the Gutenberg Museum while in my left hand here in the U.S.A. I held the copy that my brother brought back to me from Germany several years ago, which was similar to a page of a Gutenberg Bible that would probably bring more than $5.3 million dollars today if it were not a facsimile. Yes, people do often forget the importance of knowing the origins of things - knowing the past history to understand the present, don't they? Your hub is a nice summary of the beginnings of modern printing. People forget that whatever we have started sometime in the past. sharing. Thanks so much for the blessing! Sharing your Hub! Thanks for that - I have no idea what he would think about word-processing and copy and paste but I'm sure, after he'd pulled his hair out, he'd be most impressed! stuff4kids thank God for Mr Gutenberg and thank you for writing an amazing Hub. I wonder what he would think about word-processing and copy and paste? Hi Brenda, thanks for commenting! Sorry about the choppy video but it is the best information in a video I could get. Yes, Gutenberg's press would be mighty slow compared to any method that was a later improvement but in its day it was a real leap forward. 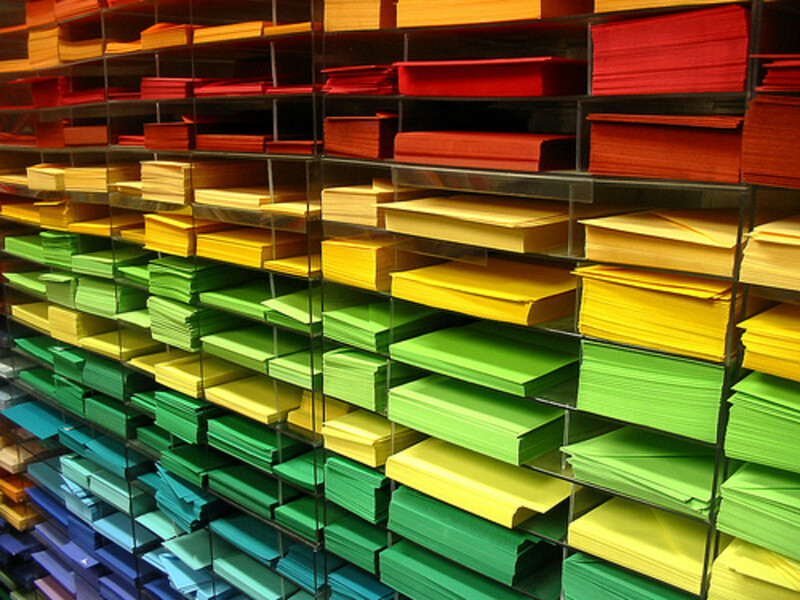 Great to have the insight of someone who has experience in printing, too! Thanks for your comment. I love books, too - good ol' Gutenberg. Sorry about the pin-stripes guy - not much I can do about that now! Interesting informative hub, thank you "stuff4kids". The video was kinda choppy, but I got a view of the printing of that one page; neat! I worked at a print shop years ago, and sometimes printed on an old Heidelberg press (I hope I spelled that right....it's been a while...), and it was pretty slow; but the Gutenberg must've been really slow comparably; but definitely innovative; and you're right----we probably have Gutenberg to thank for us right now being able to type these very words online! Yes, there's no doubt to my mind that the impact of his invention was completely revolutionary and forged the future of modernity as we know it today. Thank you so much for reading this and I am really happy that you found it interesting and informative. I think you are right that Gutenberg's invention has essentially shaped the modern world. It's hard to imagine what the world would be like without it. Yet, most of us don't think a lot about Gutenberg, or give him credit for being the world-changer he was. I enjoyed reading this. Thanks! How lovely that you enjoyed this hub. I do think history is very interesting and it is so important to encourage a love of history in our young folk. I always told mine that it is important to know how we got here to know where we should go next. It always fascinates me, too, how there are these amazing individual people who stand out because of their genius, determination and sometimes just good luck! I find it very inspiring. 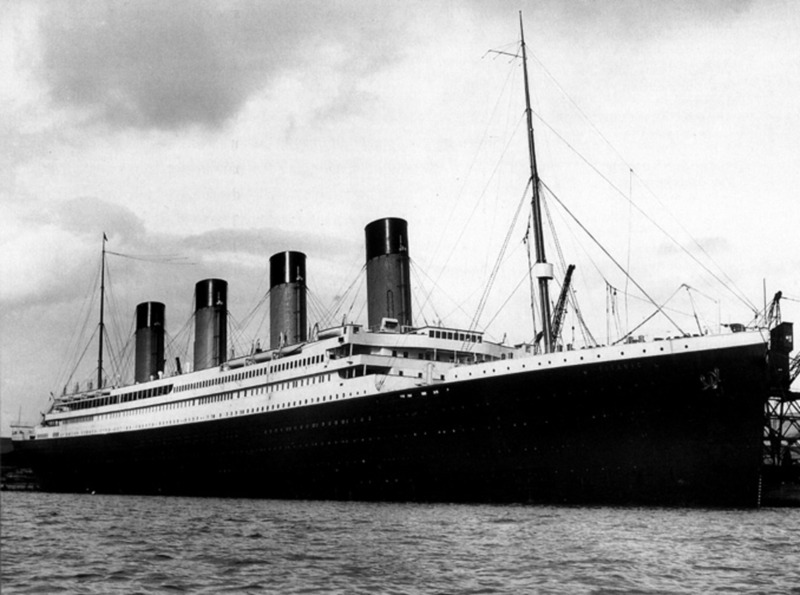 I love history and enjoyed researching this even if it is a very well known story. Somehow, even old history is always new if it inspires you and helps you better understand the present. A bit of a revolutionary, wasn't he? The name Gutenberg sticks in our brains just like the year 1066....there is some history that will never be forgotten. Thanks for a little history reminder. Well done!